Joey has been a musician all of his life. Starting with classical piano and classical violin when he was 5, and even learning to play the recorder and glockenspiel through the Kindermusik program, in the mid 1980's he began getting more in to Rock and Heavy Metal music when he started playing electric bass for the upper school high-school band at Greensboro Day School. Joey went on to play electric bass and electric guitar for many bands around the Greensboro Triad area. Joey worked for many years for Moore Music Company / The Music Loft in Greensboro, NC as a salesman and a guitar instructor. Joey was also a sound engineer - running sound for various bands in the Triad area - and has also owned a mobile recording studio. After a 20+ year hiatus from the music industry, he is back in 2013 writing music, playing music, and handling sound engineer projects. He is a registered composer/author with BMI under both his legal name, Harry J. O'Connor, III as well as Joey O'Connor. Joey will be publishing his own works, as well as publishing works of other musicians and bands. If you are a musician or band and are looking for publishing services please let Joey hear from you! 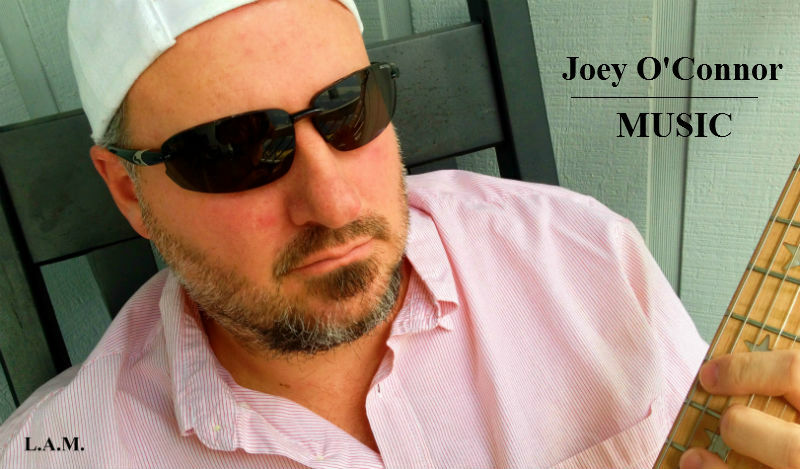 Joey will also be marketing his song-writing and custom music spots (full songs or commercial length runs). If you are in need of any such service please let Joey hear from you! Full Video services also available! 02/20/17 : Joey has just uploaded a new Basic Equipment PA diagram. 04/01/16 : Joey has been hired by St. James High School in Murrells Inlet, SC to be their sound technician for their upcoming production of Legally Blonde! 10/09/15 : Joey has just set-up a dedicated Sound Engineer page on Joey O'Connor Music! 10/08/15 : Joey has just uploaded a new Frequency Chart to show music tones and sound waves in a more detailed way. 10/06/15 : Joey is thinking about once again Teaching Beginner Guitar and Bass Lessons! Are you in the Grand Strand Area of South Carolina and/or Conway, South Carolina and have been thinking about learning how to play the guitar or bass? Give Joey a shout for Guitar or Bass Lessons! 10/05/15 : Joey has just uploaded a new diagram to show Proper Speaker Placement for your home surround-sound system, church installation, or school auditorium. 09/26/15 : Joey has been hired by Socastee High School in Myrtle Beach, SC to be their sound technician for their upcoming Show Choirs Showcase! 04/18/15 : Joey has been hired by St. James High School in Murrells Inlet, SC to be their sound technician for their production of FootLoose! 05/09/14 : We Need Your Help! Submit your videos or photos (ones that you, your friends, or representatives take - no professionals) for our new project films and music videos! Photos must be at least 4MP in quality and less than 10mb in size. Videos must be 1080p HD and less than 10 seconds. You may submit multiple videos and photos, and please do! Audio is not important nor required. You can be serious, silly, or creative! Get full credit and tagged on Facebook when we are finished! Each submission must include your photo/video and a release of use for each person shown. For example... if you have 5 videos/photos, each will need to be submitted separately - each with a release. If you have a video/photo with 5 people in it, 5 seperate releases needs to be submitted with the video/photo. Here is what we are looking for... Kids, Youth, Adults, Seniors, Groups, Organizations, Anyone and Everyone! Supporting the song "Jump - The Workout Song (kid version)"
send video(s) to JoeyOConnorENT@Yahoo.com with subject heading "Jump Videos"
along with copy/paste of a Release of Use - each person in video must submit a release. Also coming soon - we will need videos and/or still pictures of America / Patriotic themes for the new song "In America" - Think I Am America, He Is America, She is America, We are America! Love to be and proud to be! send video(s) and/or Photo(s) to JoeyOConnorENT@Yahoo.com with subject heading "America Videos And Photos"
along with copy/paste of a Release of Use - each person in video or photo must submit a release.